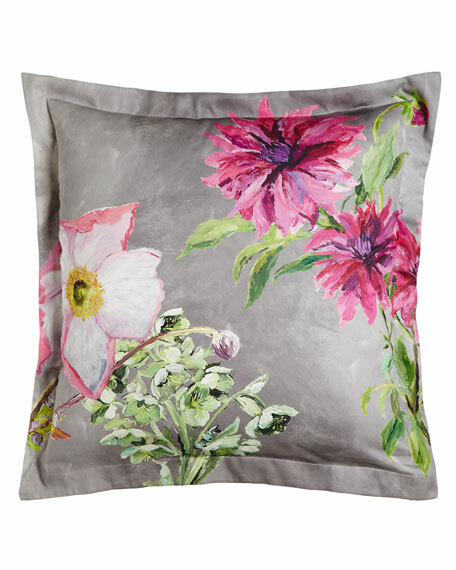 Sham features highly detailed flowers on a softly shaded background. 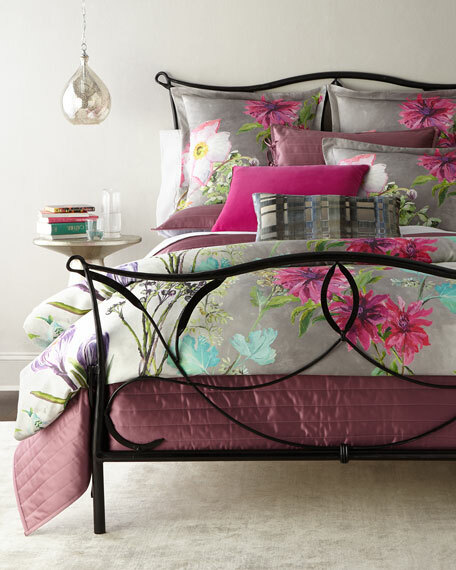 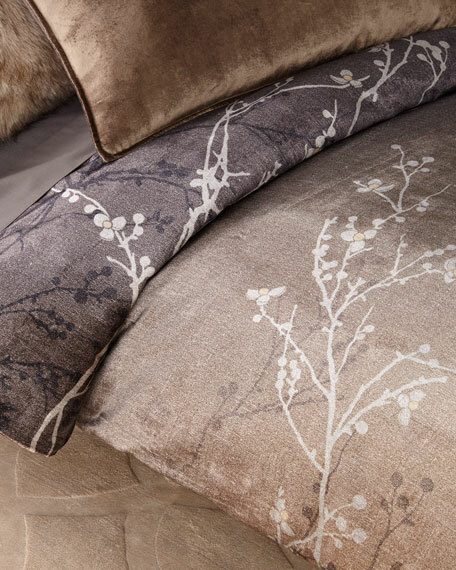 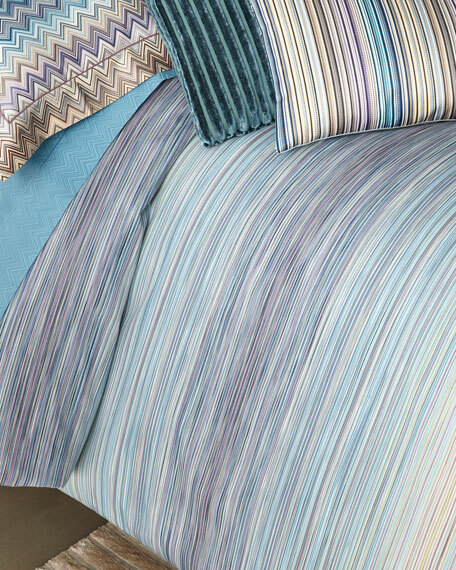 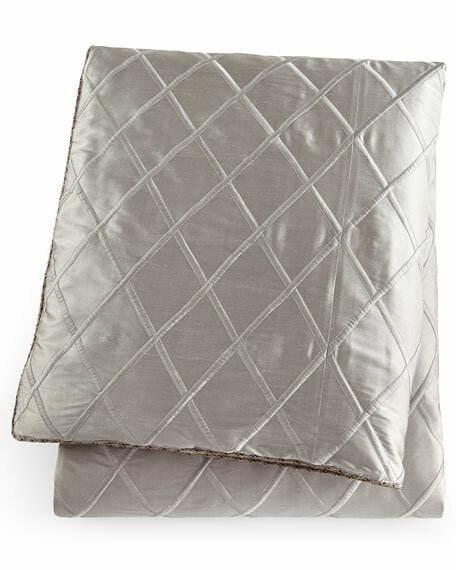 Made of 300-thread-count cotton sateen. 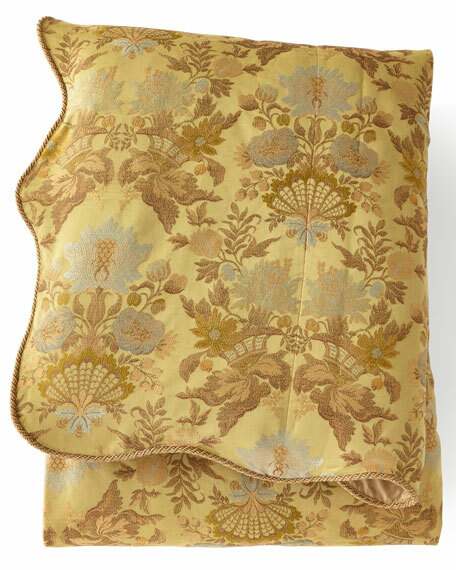 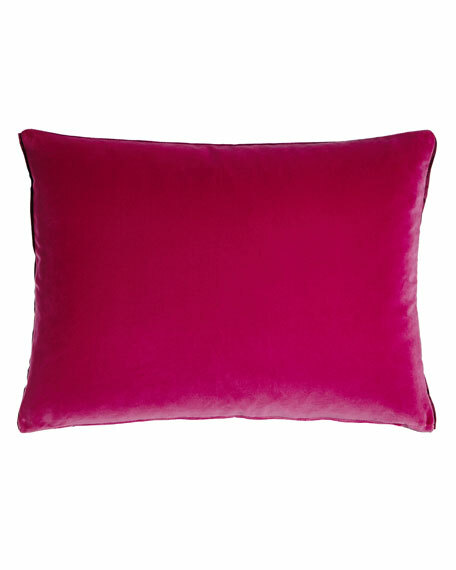 Designers Guild Cassia Magenta Pillow, 18" x 24"
Magenta velvet pillow with satin trim at sides. 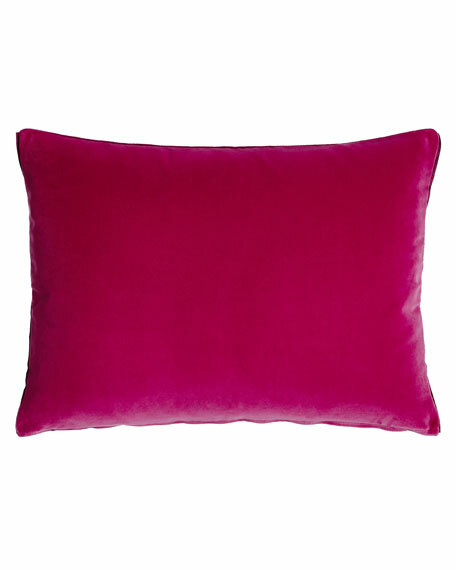 Made of cotton/modal/polyester velvet with polyester/cotton/metallic trim.